In Above fold No more than 30% of the browser display (1024*768)Ad with 30% unique content. if there 50% unique content (except page header, navigation links, logo, search box) you can use 50% Advertising space. This also known as google’s 30% rule. More info available at Fixing thin content manual action. So we have to use 1:1 ratio of content and Ads, especially in above fold. But I have Noticed lots of websites have more than 3 Adsense Ads along with info links gibberish text links. Then they also ranking well. (maybe google ignore this rule and over freshness and website performance or decreasing their rankings and then look for another ranking factors like trustworthy and freshness ). Google measure this ratio by looking at content above the fold (i.e. without scrolling) on a display that measures at least 1024 x 768 pixels with a maximized browser window. 1. 30% of the browser display area consists of unique and relevant content. This excludes search boxes, headers, navigation links, logos, etc. Specific, well-organized commercial offers (such as those found on retail sites) may count as unique and relevant content as long as they provide significant user value. The 30% rule: Open each of your pages full screen above the fold, then measure. You can have no less than 30% real content, no more than 30% ad. So we can measure it by browser tool in google Analytics located at in page Analytics. 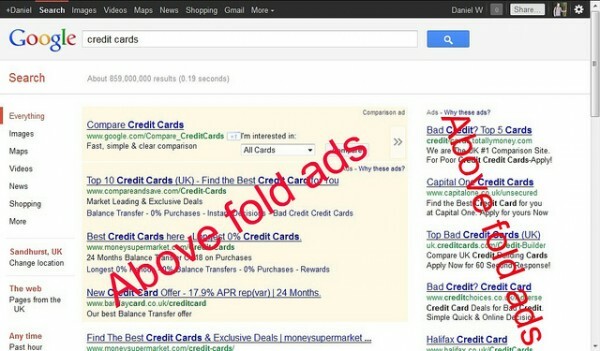 How google determine page layout structure? Caching CSS & JS Google caches all your CSS & JS files including HTML. you can view your cached version of the website in google webmaster fetch as google tool. Is this based on where ads appear in the code or where they appear visually on the page? Browser Resize tools now its part of google analytics. Now it’s a part of Panda Algorithm. This update is 1 out of 500 improvement in 2012 year by google. Specially designed for TOP heavy Ads. Tip: focus on user experience. how to quickly Recover from page algorithm? 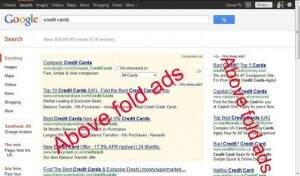 its all depend upon how many pages your website have and google bot crawling frequency. if this is site-wide effect then you can recrawl your whole website. Quick recovery is; crawl more frequently by google bot. for this you have to use fetch as google bot 500 URLs for month limit for 1 webmaster tools account. but google official said it can recover within few weeks. after changed the page structure. Final words: it’s a part of panda then look for panda update & recovery options.